MeaWallet and dSAFE has signed a partnership to enable and secure customer loyalty programmes into the MeaWallet framework of mobile services. MeaWallet has signed a partnership in mobile loyalty with dSAFE. The dSAFE backend system for loyalty and eReceipts solutions will be integrated with MeaWallet’s solution and their wallet frontend. Hereby loyalty programme providers can get a loyalty widget adapted and for use in the MeaWallet wallet app. “The partnership with MeaWallet give our customers an attractive, secure and easy to use digital mobile channel. We look forward to together with MeaWallet enable attractive mobile loyalty services that will benefit our customers and the end user of the mobile wallet”, says Daro Navaratnam , CEO of dSAFE. A loyalty widget in the MeaWallet mobile wallet give users functionality as for example, bonus balance and transaction history, pay with bonus points, eReceipts, coupons and value codes. The widget can also include per loyalty provider specific features. 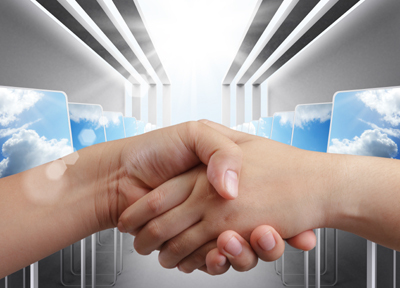 “This partnership will give both customers and end users valuable benefits. Besides adding attractive loyalty programmes into the mobile wallet, we believe having it together with services like payments, coupons, ID’s, access, ticketing and receipts, and all in one digital wallet will increase the use and the transaction volumes”, says Lars Sandtorv, CEO of MeaWallet.